People pass graffiti along the border structure in Tijuana, Mexico. Construction of prototypes for President Donald Trump’s border wall may not start until the end of this summer, a U.S. Customs and Border Protection official said Tuesday, the latest phase of the project to run over the announced timetable. Acting Deputy Commissioner Ronald D. Vitiello told journalists at a news conference the project was “on schedule,” but acknowledged it could be as late as September before four to eight finalists begin building a line of mini-walls along the San Diego-Tijuana border. That delay is one of several since Trump signed an executive order in January instructing the Department of Homeland Security to quickly launch a central campaign promise into action. Originally, construction was supposed to start in June. More recently, a June 12 report from the Department of Homeland Security showed that Customs and Border Protection aimed to award a contract by June 12 and begin construction on prototypes by July 21. Vitiello wouldn’t say how many contractors are still in the running to build a prototype wall, offering only that it was a substantial number. All companies that submitted proposals to the government have been notified whether they are moving on in the process, he said. Reveal from The Center for Investigative Reporting has asked for those records through the Freedom of Information Act, but the agency has not yet responded to the request. 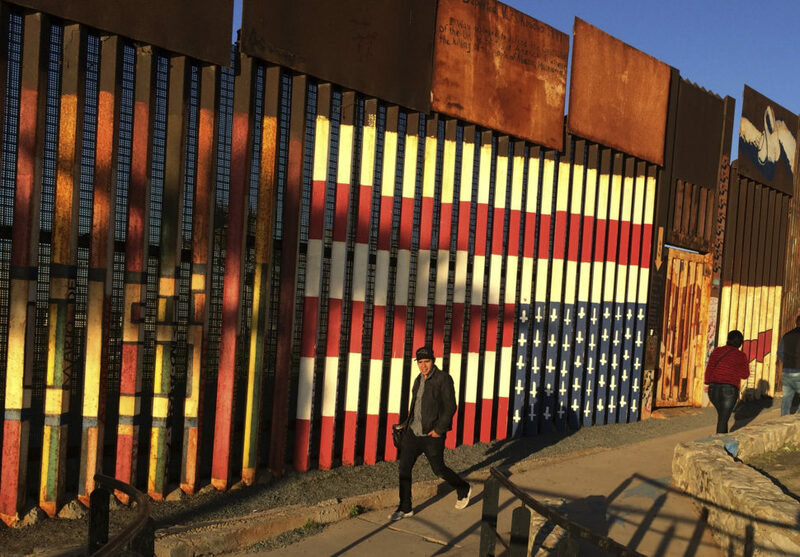 The border agency is evaluating proposals by contractors that will be used to create a design standard for future border wall projects. Those prototypes will be funded with $20 million that the Department of Homeland Security re-allocated. Companies would have to complete construction within 30 days of being selected, Vitiello said. The government chose to place prototypes at the border wall’s eastern end near San Diego, in an area already outfitted with lighting and roadways. That would allow officials to determine the wall prototype’s functionality in a built environment, Vitiello said. Each successful bidder will build two mini-walls at the prototype location. Full-size prototypes will be 30 feet long and at least 30 feet tall, towering over existing border fence nearby. Officials will also batter away at a 10-foot-by-10-foot mockup of each wall design to rate its resistance to vandalism. Congress has also allocated money to replace or upgrade existing fencing in California and El Paso, Texas, that the agency no longer sees as adequate. Vitiello said that one section of fence in San Diego had been breached more than 800 times in the past year. Some of that money will also be used to add long-awaited gates to close small gaps in border fence in Texas’ Rio Grande Valley. After that, the future of the wall is up in the air. Any major new sections of Trump’s border wall have been blocked for now. Customs and Border Protection had asked for money to build 34 miles of new border barrier in fiscal year 2017, and 47 miles of “border barrier system” in south Texas in fiscal year 2018. But those plans won’t go anywhere unless a so-far skeptical Congress approves the money. Trump repeatedly promised that Mexico would pay for the wall’s construction. Mexico has insisted many times that it will not. Vitiello said Tuesday he hasn’t heard any updates on whether Mexico was willing to pay. The government has ruled out ever putting a wall on about 130 miles of the border with obvious natural barriers, like large lakes, and deep canyons in Big Bend National Park. Beyond that, Vitiello said it’s unlikely that Customs and Border Protection will provide a master plan for what sections of the border will or won’t get a wall in the future, because hotspots for illegal border crossings shift over time. Opponents of building a border wall have argued that the shifting nature of border threats illustrates why building a permanent structure like a wall is a bad investment. Though last week the president suggested the wall would pay for itself were it made of solar panels, Vitiello said that his agency will leave the innovation up to those submitting proposals for the border wall. He said that he wasn’t aware of anyone at the border agency communicating with the White House about the solar panel idea. Amy Walters contributed to this report. Michael Corey can be reached at mcorey@revealnews.org. Follow him on Twitter: @mikejcorey. Kate Talerico can be reached at ktalerico@revealnews.org. Follow her on Twitter: @k_talerico.